It was only a matter of time. I failed. That’s the only way to put it. 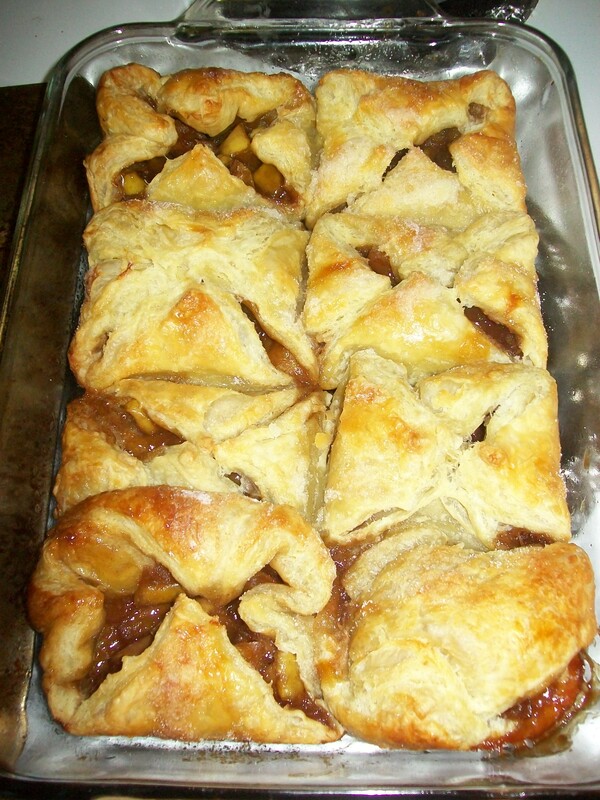 I tried making apple turnovers, and I failed. Miserably. I should have known something bad would happen when the filling was running all over the puff pastry and also when the pastry wouldn’t stick together without LOTS of squeezing and manipulating from turnovers to purses. All I can say is thank goodness I didn’t leave the kitchen after I put them in to bake, or the aftermath would have been much worse than a few filling dribbles in the oven. I was so looking forward to breakfast pastries for the next couple of days, but it looks like that’s not going to be happening and I’ll have to find something else for breakfast tomorrow and Monday. I don’t even know if I want to photograph that poor baking sheet and the sad things upon it. OH. I just had an idea. Maybe I can still salvage this by transferring everything to one of my glass dishes and baking it that way. Instead it’ll be a sticky, caramelly, appley, desserty thing, rather than a nice clean morning apple turnover. I’m going to see what can be made of the situation. So, it looks like I’m going to need to clean the oven a bit, because I smell burning sugar. Wonderful. AH SUCCESS! I can’t believe I salvaged that huge mess. It smells so yummy and I can’t wait to dig in. Edit: Oh, wow, I’m REALLY glad I didn’t toss these after the first attempt mishap. SO GOOD! I don’t want to stop eating them now that I’ve already had one. They’re the new Lay’s potato chip in my life. Next postA Coincidence? Three Times? I Think Not.